In this article, we will show few examples on using Apache Ignite as Compute Grid, Data Grid, Service Grid and executing SQL queries on Apache Ignite. These are basic examples and use the basic api available. There will be few posts in near future which explains the available API in Compute Grid, Service Grid and Data Grid. Apache Ignite comes with JDBC Thin driver support to execute SQL queries on the In memory data grid. In the example below, we will create tables, insert data into tables and get data from tables. I will assume that you are running Apache Ignite on your local environment otherwise please read setup guide for running Apache Ignite server. In line 1, we are creating a City table with CacheMode as replicated which means it will be replicated on whole cluster. There are three possible values for CacheMode which is LOCAL, REPLICATED and PARTITIONED. We will discuss about this later in detail. In line 2, we are creating Person table. You might have noticed affinityKey being used. The purpose of affinityKey is to collate the data together. You can find the full example code here. In this example, we will use Ignite's compute grid to fetch data. In this example, we are getting list of person residing in same city. We are calling compute grid on SQL_PUBLIC_CITY cache to query with affinitykey cityId and the IgniteCallable task. In the IgniteCallable task, we have @IgniteInstanceResource which will be injected by the Ignite server running this task. This example will usage of Ignite as in memory data grid. If you want to deploy some service on grid than it should implement Service interface. Also, service grid deployments are not zero deployments. You need to put the compiled jars to the Ignite server instance and than need to restart the instance as well. In this post, we will discuss about setting up Apache Ignite. You can download the Apache Ignite from its official site. You can download the binary, sources, Docker or Cloud images and maven. There is also a third party support from GridGain. This is pretty straightforward installation. Download the binary from website. You can optionally setup installation path as IGNITE_HOME. To run Ignite as server, you need to run below command on terminal. If you are likely to build everything from sources, than follow the steps listed below. You just need to add the maven dependencies to make it work in your project. Ignite has many integration support with other libraries and almost all of them are optional. The only mandatory one is ignite-core. You can add ignite-spring for configuring Ignite with Spring XML like configurations and ignite-indexing for SQL querying. You can download the docker image or Cloud AMI from this link. This is an introduction series to Apache Ignite. We will discuss about Apache Ignite, its features, usage as in-memory data grid, compute grid, distributed caching, near real-time caching and persistence distributed database. It is in-memory compute platform. It is in-memory data grid. Durable, strongly consistent and highly available. Providing option to run SQL like queries on cache (Providing JDBC API to support this). Apache Ignite is memory-centric platform based on durable memory architecture. It allows you to store and processing data on in-memory(RAM) and on disk (If Ignite Native persistence is enabled). When the Ignite native persistence is enabled, it will treat disk as superset of data, which is cable of surviving crash and restarts. RAM is always treated as first memory tier, all the processing happens there. It has following characteristics. Off-heap based: All the data and indexes are stored outside of Java heap which helps in processing petabytes of data. Since all data and indexes are off-heap based, it removes noticeable GC pauses since application code is only source possible for pause-the-world events. It uses memory as efficient as possible and runs defragmentation routines in the background. Data and indexes on disk and in-memory are stored as same page format which improved the performance and avoids unnecessary data format conversion. Here are few high-level persistence features. Persistence is optional to disk. You can enable or disable it. It provides data resiliency. If persistence is enabled, full dataset will be stored on physical disk and you can survives cluster restarts, crashes. It can execute SQL queries on full dataset. Cluster restarts are instantaneous. In-memory data will be cached automatically. In this post, we will use Spring security to handle form based authentication. You can also read my previous posts on Basic Authentication and Digest Authentication. In the example, we will use Spring Boot, Spring Security, Undertow and thymeleaf and will add their starters as shown below. We will extend WebSecurityConfigurerAdapter class which is a convenient base class to create WebSecurityConfigurer. @EnableWebSecurity annotation enables the Spring Security. We have overridden the configure method and configured the security. In the above code, we have disabled the csrf request support (By default it is enabled). We are authorizing all the requests to /index, /,/static folder and sub-folders, bower_components folder and its sub-folder accessible without authentication but all other should be authenticated. We are referring /login as our login page for authentication. In the above code snippet, we are also registering the UserDetailsService. When we enable web-security in Spring, it expects a bean of type UserDetailsService which is used to get UserDetails. For example purpose, I am using InMemoryUserDetailsManager provided by the Spring. In the above configurations, we are registering ViewController and setting their names. This is all configuration that we need to do to enable Spring Security. You can find the full working project including the html files on Github. In this post, we will externalize the properties used in the application in a property file and will use PropertyPlaceHolderConfigurer to resolve the placeholder at application startup time. We created object of PropertySourcesPlaceholderConfigurer and set the Locations to search. In this example we used ClassPathResource to resolve the properties file from classpath. You can use file based Resource which need absolute path of the file. We used @Value annotation to resolve the placeholders. For testing, we created object of AnnotationConfigApplicationContext and got DBProperties bean from it and logged it using Logger. This is the simple way to externalize the configuration properties from framework congfiguration. You can also get the full example code from Github. In this post, we will discuss about Digest Authentication with Spring Security. You can also read my previous post on Basic Authentication with Spring Security. This authentication method makes use of a hashing algorithms to encrypt the password (called password hash) entered by the user before sending it to the server. This, obviously, makes it much safer than the basic authentication method, in which the user’s password travels in plain text (or base64 encoded) that can be easily read by whoever intercepts it. There are many such hashing algorithms in java also, which can prove really effective for password security such as MD5, SHA, BCrypt, SCrypt and PBKDF2WithHmacSHA1 algorithms. Please remember that once this password hash is generated and stored in database, you can not convert it back to original password. Each time user login into application, you have to regenerate password hash again, and match with hash stored in database. So, if user forgot his/her password, you will have to send him a temporary password and ask him to change it with his new password. Well, it’s common trend now-a-days. Let's start building simple Spring Boot application with Digest Authentication using Spring Security. We will use spring-boot-starter-security as maven dependency for Spring Security. You need to register DigestAuthenticationFilter in your spring context. DigestAuthenticationFilter requires DigestAuthenticationEntryPoint and UserDetailsService to authenticate user. The purpose of the DigestAuthenticationEntryPoint is to send the valid nonce back to the user if authentication fails or to enforce the authentication. The purpose of UserDetailsService is to provide UserDetails like password and list of role for that user. UserDetailsService is an interface. I have implemented it with DummyUserDetailsService which loads every passed userName's details. But, you can restrict it to some few user or make it Database backed. One thing to remember is the password passed need to be in plain text format here. You can also use InMemoryUserDetailsManager for storing handful of user configured either through Java configuration or with xml based configuration which could access your application. In the example, I also have used the caching for UserDetails. I have used SpringBasedUserCache and underlying cache is ConcurrentMapCache. You can use any other caching solution. You can download the example code from Github. I will be using Postman to run the example. Here are the few steps you need to follow. 1. Open postman and enter url (localhost:8082). 2. Click on Authorization tab below the url and select Digest Auth from Type dropdown. 3.  Enter username(gaurav), realm(GAURAVBYTES.COM), password(pwd), algorithm(MD5) and leave nonce as empty. Click Send button. 4. You will get 401 unauthorized as response like below. 5. If you see the Headers from the response, you will see "WWW-Authenticate" header. Copy the value of nonce field and enter in the nonce textfield. 6. Click on Send Button. Voila!!! You got the valid response. This is how we implement Digest Authentication with Spring Security. I hope you find this post informative and helpful. In this post we will discuss about Basic Authentication and how to use it using Spring Security. It’s simplest of all techniques and probably most used as well. You use login/password forms – it’s basic authentication only. You input your username and password and submit the form to server, and application identify you as a user – you are allowed to use the system – else you get error. The main problem with this security implementation is that credentials are propagated in a plain way from the client to the server. Credentials are merely encoded with Base64 in transit, but not encrypted or hashed in any way. This way, any sniffer could read the sent packages over the network. HTTPS is, therefore, typically preferred over or used in conjunction with Basic Authentication which makes the conversation with the web server entirely encrypted. The best part is that nobody can even guess from the outside that Basic Auth is taking place. Let's create a simple Spring Boot application which Basic Authentication enabled. You can read my previous post on how to create Simple Spring Boot application, if not familiar with it. We need to register BasicAuthenticationFilter and BasicAuthenticationEntryPoint as bean in the Spring context. Basic Authenication is by default enabled when you add spring-security in your classpath. You need to configure the username and password for basic authentication. Here are some of the security properties. You can see SecurityProperties for other properties that you can configure like realm name etc. This is how to enable basic authentication in Spring Boot application using Spring Security. You can get the full working example code for basic authentication on Github.